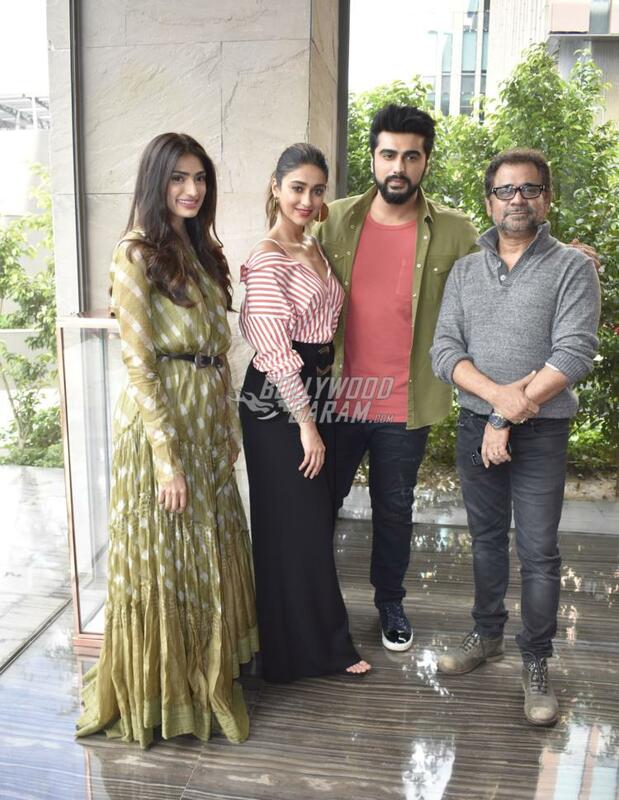 As the lead actors of Mubarakan continue the promotions of Mubarakan in Delhi, Arjun Kapoor, Ileana D’Cruz and Athiya Shetty were seen posing for a photoshoot at the capital on July 24, 2017. Anil Kapoor remained absent from the promotional event but director Anees Bazmee joined in. Arjun appeared in a casual avatar and was seen in a red t-shirt, black pants and a greet shirt while Athiya looked pretty in a green maxi outfit. Ileana too looked pretty in a pink off-shoulder top and black wide-legged pants. The audience will get to see Arjun and Anil Kapoor share the screen space together for the first time. Arjun will be seen playing a double role. 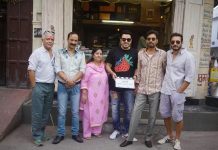 Director Anees is back with another crazy story of a crazy Punjabi family involved in a big fat Indian wedding in London. The audience can witness the craziness from July 28, 2017.